The Wilco FCCLA Team went to state competition and came away with 6 golds and 2 silvers! Five of the team qualified for National events. Nationals will be in Anaheim, California June 28th - July 5th. 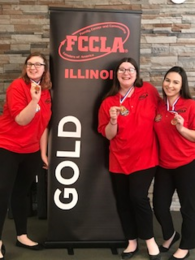 Best of luck at Nationals to our Hospitality teams: Team 1, 1st place, gold medal winners: Josie Provencher, Plainfield Central, Sydney Belcher, Romeoville, and Jacalyn Kupczyk, Plainfield South; and team 2, 2nd place gold medal winners: . . .
Click on the links below for more information and a registration form: Registration Form Criminal Background Check Procedures Adult CNA Class Information Financial assistance may be available for those who qualify through Will County Workforce Services. Phone (815)727-4444. Preschool Forms General Information for Parents Preschool Enrollment Form Other Members of Household Enrollment Form Online Payment Instructions Preschool Parent Agreement Wilco Preschool Goals Wilco Preschool Policies Preschool Flyer 2019 WILCO PRESCHOOL WILCO PRESCHOOL has been established in conjunction with the WILCO Area Career . . .
Wilco Culinary students competed last week in FCCLA and qualified to go on the the state competition. 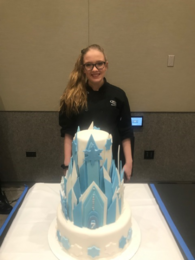 In cake decorating was: Rayne O'Brian from Plainfield South with a Lightning McQueen birthday cake, Natalie Rico from Plainfield East with her Spiderman birthday cake, and Juliette Hop from Plainfield Central with her Elsa Ice Castle birthday cake. Students who competed in Hospitality and won Gold and will compete at state are: DaKoTa . . . Here's all of our Students of the Quarter! Click through the pictures to see all our outstanding students selected for the 2nd quarter of the year! 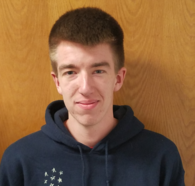 To see the list of the students and their schools click to link below: December 2018 Wilco Students of the Quarter October 2018 Wilco Students of the Quarter . . .
Joliet Officer Kozielski and her K9 partner, Nes, visited Mrs. Gunther's Criminal Justice class to discuss K9 duties and skills. Mrs. Kaufman's family just got 2 puppies. She decided to bring them in for the day to share with the students. We've never seen such a reaction before!!! It was wonderful therapy for those stressed out students and the preschoolers loved petting them too. We had 3 month old Reagan, who is a Pointer mix and 2 month old Rosie who is a Shepherd mix. Those puppies were worn out from all the loving! We never knew it was such good . . .
Auto Service students heard a presentation today from Jim Doyle, who is from the Audi Training center in Buffalo Grove. He told them about careers at Audi and the things they need to know to start with the company.